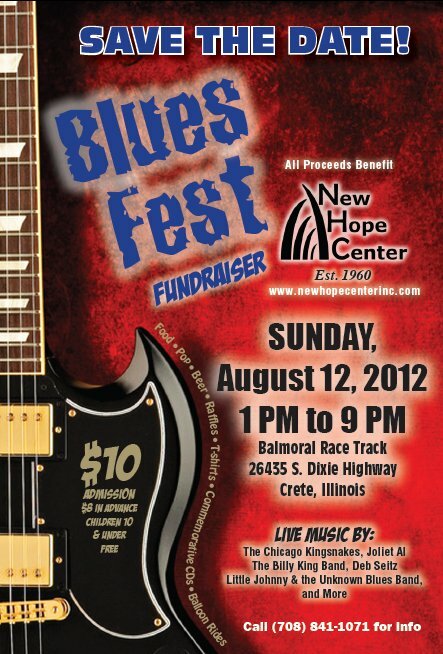 New Hope Center is pleased to announce their Third Annual Blues Fest fundraising event to take place at the Balmoral Park Racetrack, located at 26435 S. Dixie Highway in Crete, IL on Sunday August 12th, from 1:00 PM to 9:00 PM. The Music festival will feature local blues bands, food, beverages, raffles and drawings, and promises to be a wonderful outdoor event for the whole family. New Hope Center is a not-for-profit community service agency providing vocational training, employment placement, residential services, therapeutic recreation services, and a variety of supports and services to more than 500 persons with disabilities and their families annually. Their programs are licensed by the State of Illinois and have been nationally accredited. Service areas include Southeast Cook County and Northeast Will County, and administrative offices are in Dolton, Illinois. 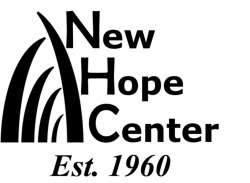 For more information about the Blues Fest, or New Hope Center and its programs, call Jeff Gajewski at (708) 841-1071 x 227, or visit their website at www.newhopecenterinc.com.